Poa annua, more commonly known as annual bluegrass, is one of the most common weeds invading lawns and gardens in the United States. Annual bluegrass starts germinating in late summer and continues through the fall. Herbicides are largely considered the most effective way to remove unwanted annual bluegrass. Poa annua invades lawns, forming a weak sod that provides poor footing and can be unpleasant to look at. Moreover, annual bluegrass steals soil nutrients, water, sunlight, carbon dioxide and space from landscape plants. Unfortunately, annual bluegrass is characterized by rapid seed production, meaning it can quickly overtake a lawn. Pre-emergent herbicides attack annual bluegrass before the seedlings emerge. This is ideal because bluegrass is notoriously difficult to control once it has emerged. In order to be effective, pre-emergent herbicides should be applied before late September for summer weed control. Pre-emergent herbicides effective in controlling poa annua include benefin, bensulide, dithiopyr, oryzalin, pendimethalin, prodiamine and trifluralin. 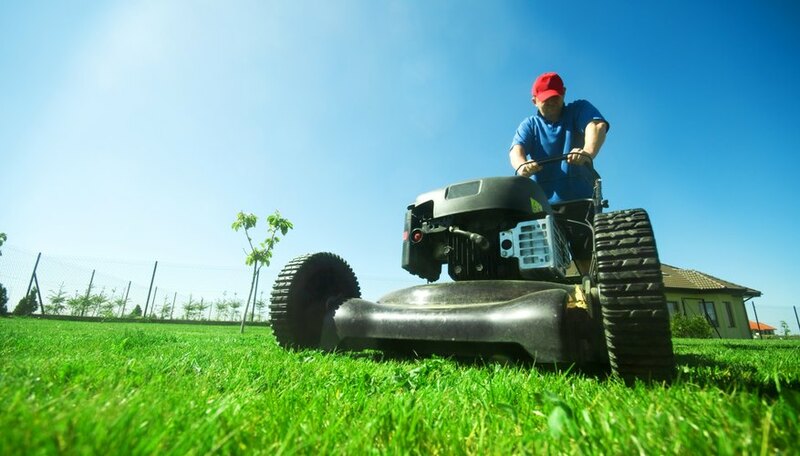 Note that the best herbicide and ideal application time varies slightly depending on your particular climate, as well as your particular turf and whether or not you plan to plant a winter turf. Post-emergent herbicides kill poa annua that has already emerged from the soil. Post-emergent herbicides effective in controlling annual bluegrass include ethofumesate, fenarimol, prodiamine, glyphosate, diquat, pelargonic acid, pronamide, ethofumesate, simazine and glufosinate ammonium. Keep in mind that some of these herbicides are non-selective, meaning they will kill all the other plants and grasses in the area along with the annual bluegrass. Solitary poa annua plants can be removed by hand or with a hoe. This should be done immediately to prevent further spread. By ensuring that desirable grasses and plants are healthy, you can help prevent the successful invasion of annual bluegrass. Thus, it is important to properly fertilize, water and mow. In addition to keeping desirable grasses and plants healthy, you can help prevent annual bluegrass by avoiding behaviors which encourage growth. These behaviors include avoiding fertilization and aeration during peak poa annua germination times and avoiding cultural practices that promote soil compaction. Finally, be sure to use deep and infrequent irrigation and withhold water from desirable plants and grasses until those plants and grasses begin to show drought stress.